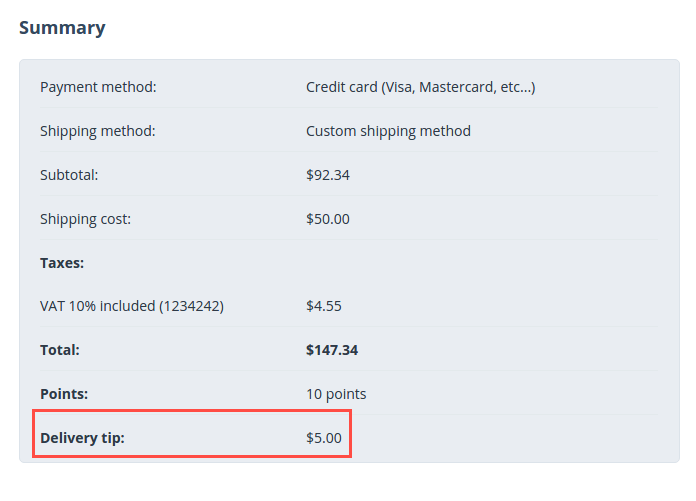 Allow your customers to add a tip during checkout with our Delivery Tips add-on. You can humbly ask your customers to tip couriers or drivers, and adjust the amount according to their preference. This will be especially convenient for customers who want to add a tip from their credit card right away rather than give tips in cash upon delivery. 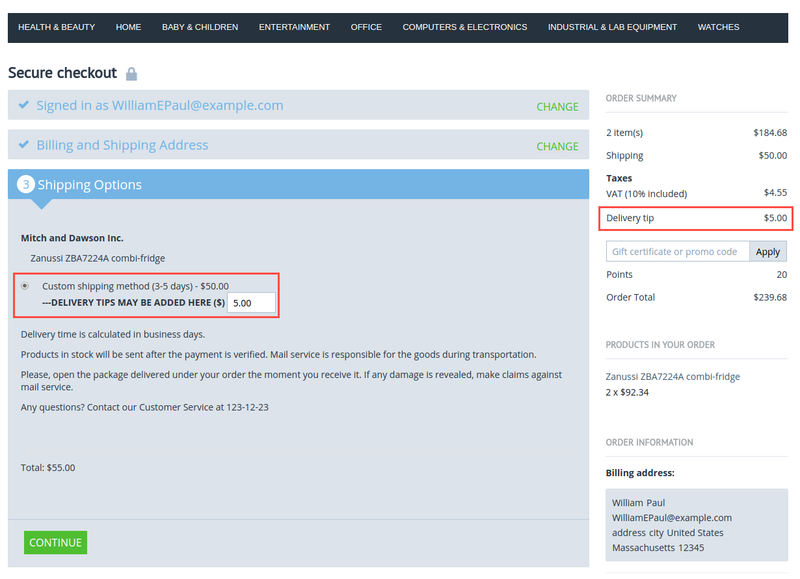 Customers will see an optional field for delivery tips at the Shipping options step at checkout. 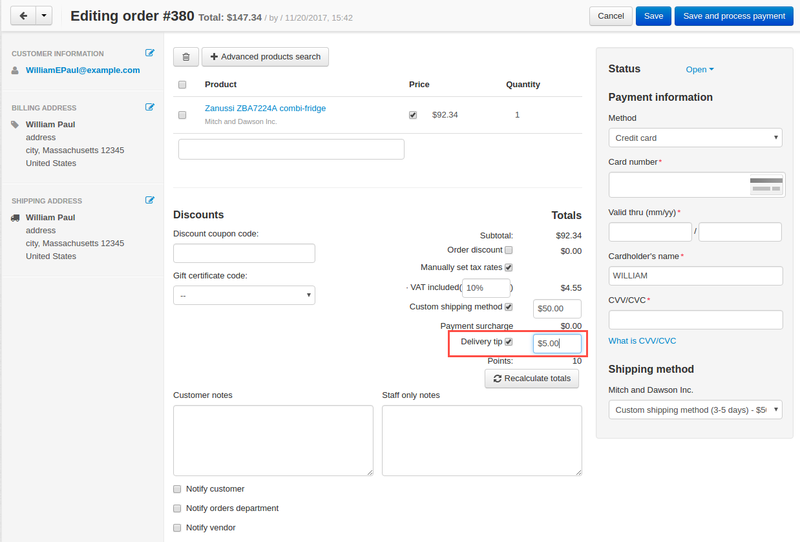 The total shipping cost will be updated automatically after a customer changes the value of the Tips input field. The delivery tips should be in the primary currency. 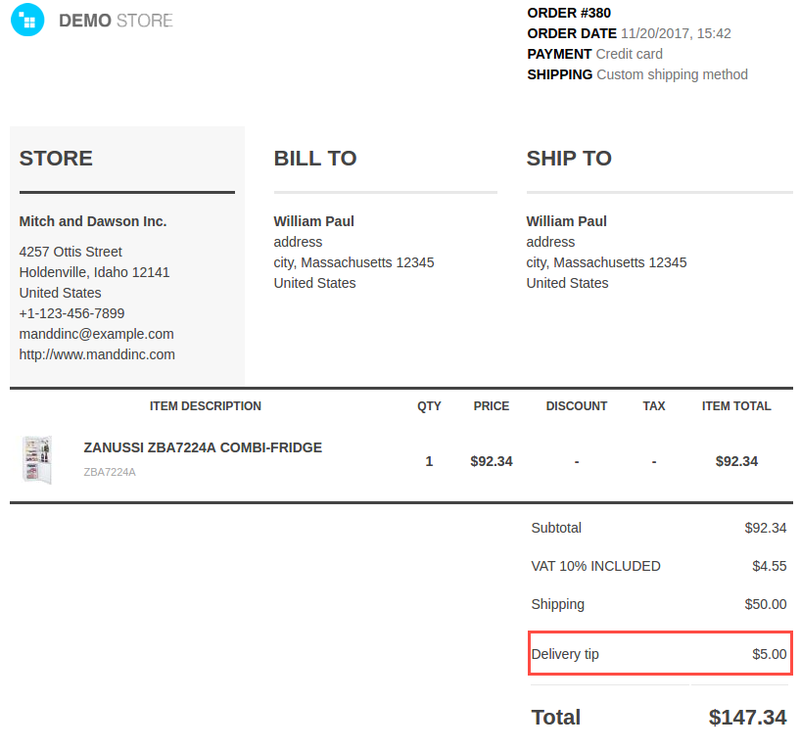 Check out the Delivery Date add-on in our demo store. Install the Delivery Tips add-on on the add-ons list page (Add-ons → Manage add-ons). Click the + button in the top right corner, select an archive and click Upload & install. You can now find the installed add-on in the list of installed add-ons, just make sure it is set to Active. 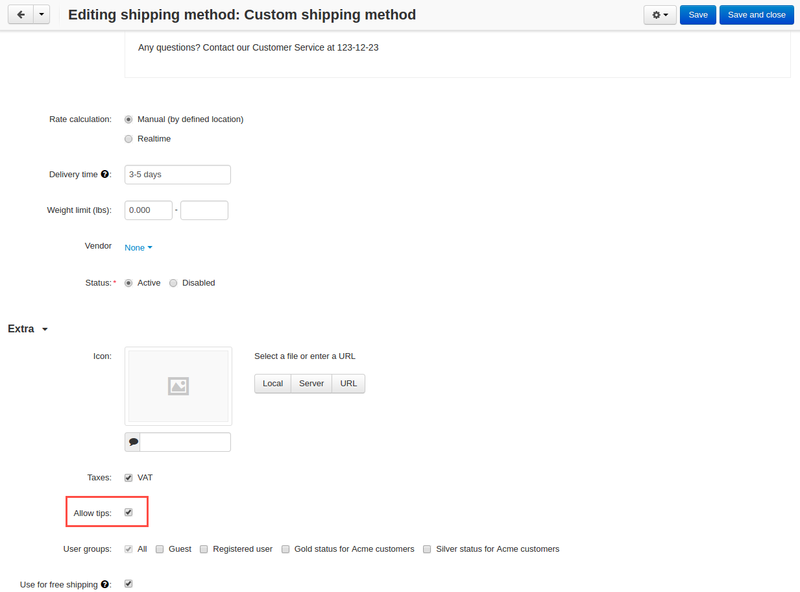 Overwrite shipping method details—If the shipping cost equals 0 at checkout, “Free shipping” will be replaced with “0.00”. Select the necessary shipping method. Locate the Extra settings and select Allow tips checkbox. Go to Administration > Languages > Translations. Search “delivery tips”. Then, edit the text in the text area. If you need to translate the text, switch the language at the top, translate the text, then click Save.